Kelly Concepts, LLC is happy to announce the availability of The Kelly SHU Composite. The Composite Series Kelly SHU mounts offer the same functionality as our Kelly SHU Pro systems at a price that fits anyones budget. Our Composite series Kelly SHU mounts are incredibly strong and durable, made using high-density reinforced compounds, injection molded under a tremendous amount of pressure. The Kelly SHU Composite accepts any standard kick drum microphone that has a threaded base or mic clip. All the installation components that ship with the Composite series mounts are the same as is included with our Kelly SHU Pro Systems. The System requires NO DRILLING for installation! The Kelly SHU Composite series also gives you your choice of our exclusive internal and external installation options, both within the same product. 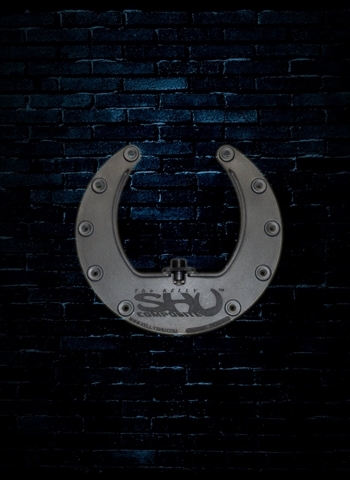 Complete instructions for both options are included with each Kelly SHU shockmount.